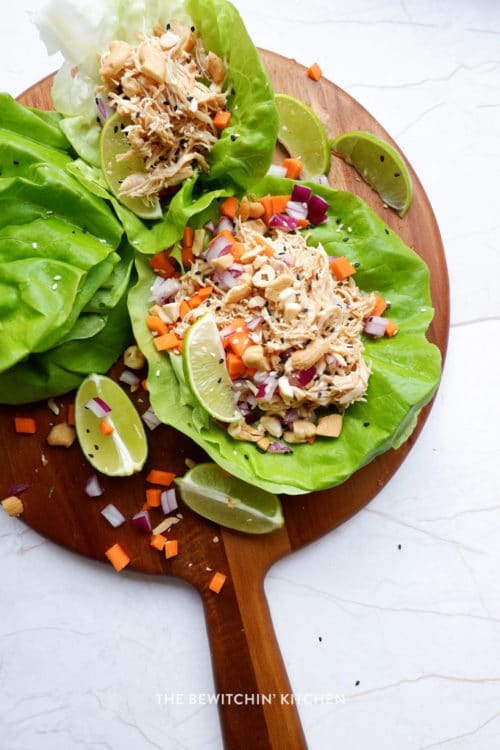 On the nights where you need a nutritious meal that takes little effort, you want these slow cooker ginger lime chicken lettuce wraps in your recipe arsenal. I have included instructions for both the slow cooker and the Instant Pot. 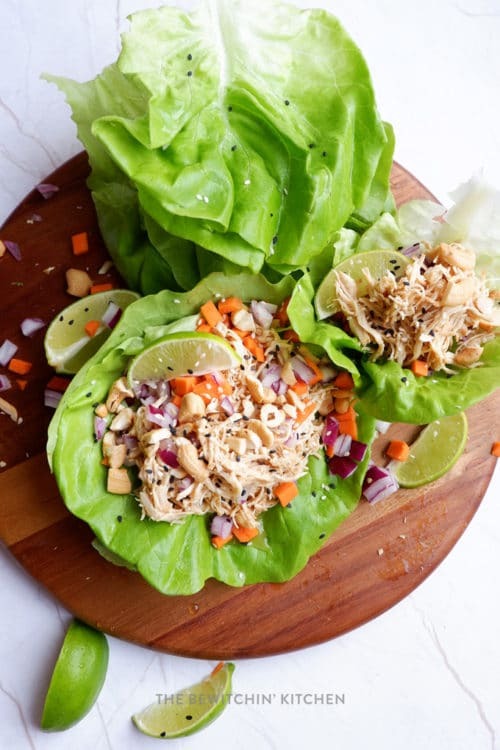 You’re going to love these healthy chicken lettuce wraps! Carl, my cat, peed in my CrockPot. I think it’s because he knew I had a slow cooker chicken recipe coming up and he wanted to throw a wrench in things (it’s such a Carl thing to do). Needless to say, the CrockPot is in the trash. 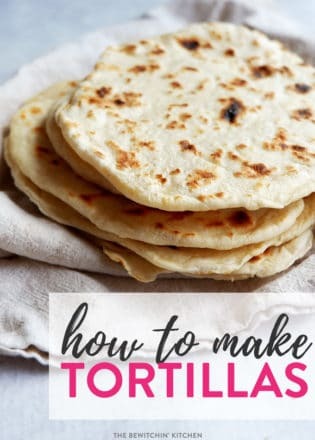 This actually works well for me as I’ve been eyeing a multicooker up for a while and this gives me a reason to buy it when it goes on sale next – but still. I’m highly annoyed. I wanted to have a healthy slow cooker recipe on the blog for you, so I was wondering what I should do and then I remembered my Instant Pot. Yes, my Instant Pot has a slow cook option – but it doesn’t work. It’s awful. However, since the pressure cooker option is a sped up version of it being slow cooked, I did that. I’ll include how-toto for both the Instant Pot and a slow cooker in the recipe card below. When I throw together a recipe for The Bewitchin’ Kitchen, I honest to goodness wing it. I usually have an idea on what I want and the flavors I believe would work well together and I toss it together and cross my fingers. However, I do rely on having quality ingredients: fresh vegetables, high-grade spices, and Canadian chicken. Did you know? Canadian chicken is grain-fed, free of hormones (all meat in Canada is) and steroids? How can you tell that you’re supporting Chicken Farmers of Canada? 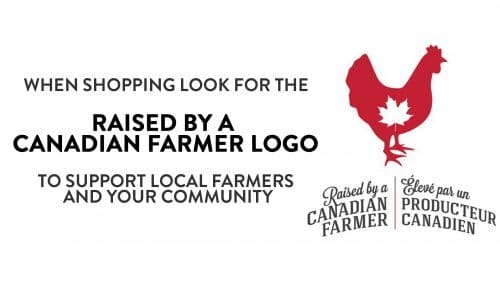 Look for the Raised by a Canadian Farmer logo! The chicken was raised by a registered Canadian chicken farmer. The farm is subject to mandatory and auditable programming for food safety and animal care. You’re supporting our local economy and giving back to our communities. You’re supporting a family farm (some of them going back a few generations). 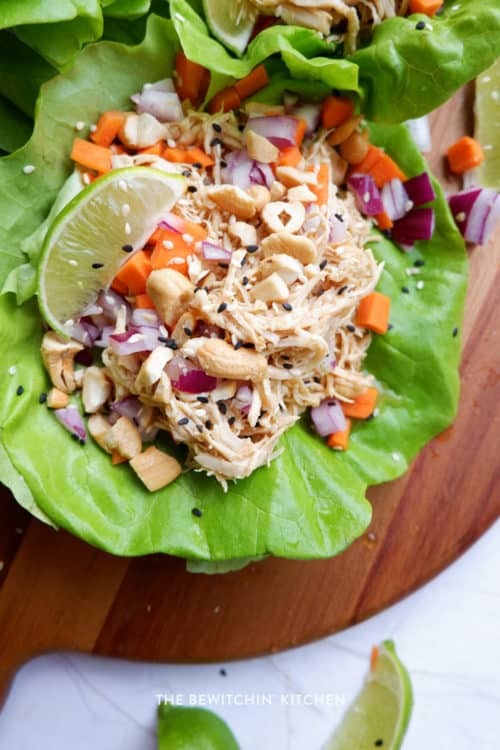 To make these healthy chicken lettuce wraps recipe Whole30 is simple. The best lettuce for shredded chicken lettuce wraps is bibb or butter lettuce. You can use iceberg, but I find that it’s too crispy to fold over the filling. I have also used romaine, but that works best for lettuce boats. 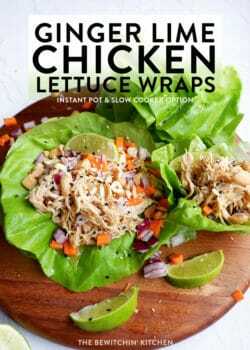 What to serve with chicken lettuce wraps? I typically highlight the chicken lettuce wraps as the main dish, but if you want a sides I have included a few options. Here are a few vegetables you can add to your chicken lettuce wraps recipe. I originally added 2 teaspoons of ginger powder to the chicken mixture but it was much too strong. 1 teaspoon is nice and light, but if you love ginger – try 1 1/2 teaspoons. 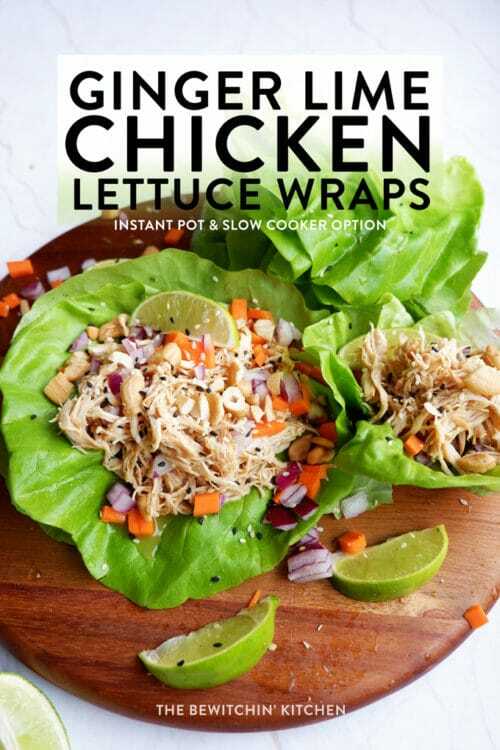 Randa’s Tip: Work with the chicken lettuce wrap recipe to see what works for your tastes. The same goes for honey. 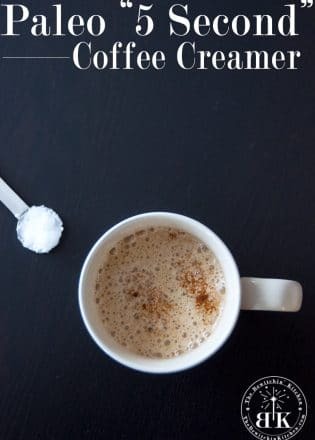 I didn’t want it too sweet, so I only added 1 tablespoon but feel free to add 2 tablespoons if you like sweet and sticky. 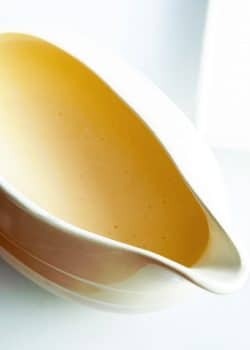 Randa’s Tip: Since the honey is sweet and sticky, I added it after the chicken cooked to make clean up easier. 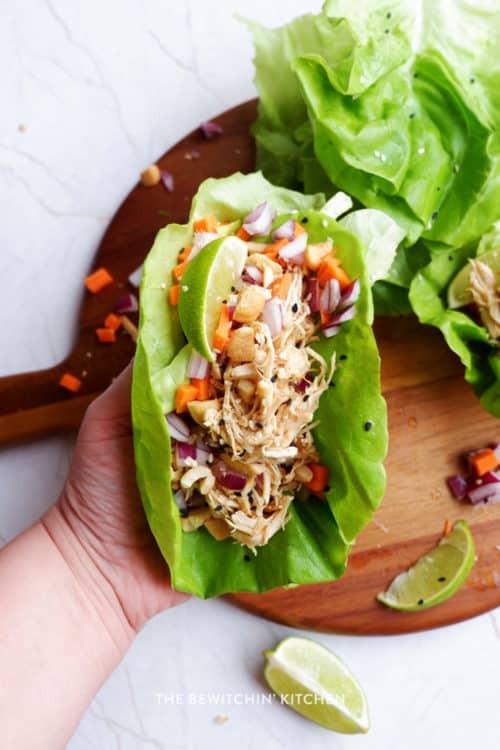 These ginger lime chicken lettuce wraps are a quick and healthy weeknight meal. Make them in the slow cooker, CrockPot, or Instant Pot for easy shredded chicken. Serve with bibb lettuce, vegetables. 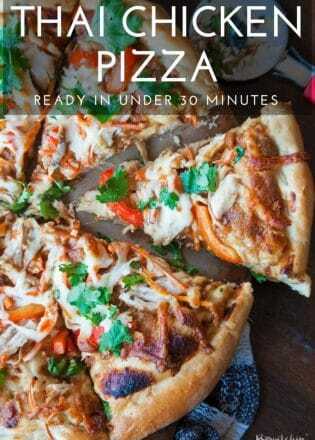 Option for a Whole30 version included in the recipe. Additional vegetables of choice: broccoli red peppers, mushrooms, etc. Add the chicken breasts to the slow cooker. In a separate bowl add the rest of the chicken mixture ingredients (not the honey). Cook on low 8-10 hours or high 3-4 hours. Shred the chicken with two forks and add the honey, stir. Add the chicken breasts to the bottom of the Instant Pot. 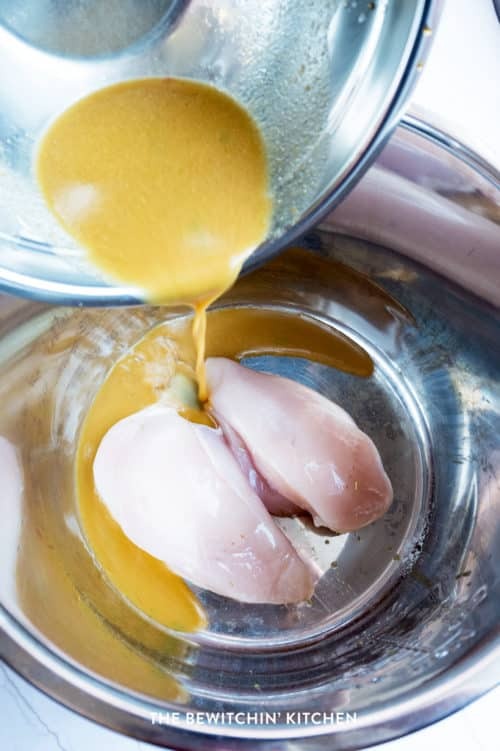 In a separate bowl whisk together the rest of the chicken mixture ingredients (not the honey). Cook on manual for 25 minutes. Lay the bibb lettuce down and add the chicken mixture, vegetables of choice, chopped cashews, and sesame seeds. Weight Watchers Freestyle Points: 3 - 1 point if you skip the cashews. Cowboy Chicken Chili Casserole looks tasty! Lemony Lime Slow Cooked Chicken is my favourite slow cooker recipe. My favourite slow cooker recipe is Slow Cooker Chipotle Chicken. I like my Slow Cooker pulled chicken recipe and serve it on homemade buns. So good!! My favourite Slow Cooker Chicken recipe is roasted chicken with veggies! My favourite slow cooker recipe is the super yummy Slow Cooker Chipotle Chicken. I really like a good Slow Cooker Chipotle Chicken recipe. One of my favourite slow cooker meals is chicken fajitas! My favourite slow cooker chicken recipes are pulled chicken (so many uses!) and roast chicken and veggies. I like chicken stew in the slow cooker. 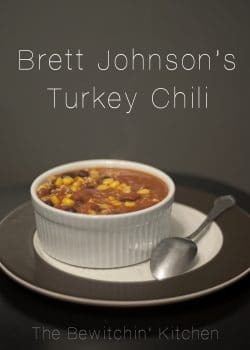 I would like to try the Cowboy Chicken Chili Casserole. My fav recipe in the slow cooker isn’t really a slow cooker recipe – I use my old spaghetti recipe and let it simmer ALL day and damn it is good!!! I try to simmer it on the stove and it either boils or it doesn’t heat up at all but the slow cooker was sooooooooooooooo good! Yummo!! My favorite slow cooker recipe is siracha chicken. Slow cooker “Chock Full O’ Veggies Pulled Chicken” A whole chicken or several large pieces , bones removed lightly seasoned with oodles of fresh veg. I let the natural flavors & organic seasonings do their magic. I like the bacon garlic chicken skillet recipe. I like the Slow Cooker Asian Chicken & Greens recipe. My favorite instant pot chicken recipe just includes chicken wings, potatoes and carrots and turning it into a stew. I haven’t tried many things with the instant pot. Chicken with mushroom soup in the crock pot is my favorite. I think my favorite would be One-Pot Broccoli, Chicken and Cheese Pasta. Sounds so yummy! 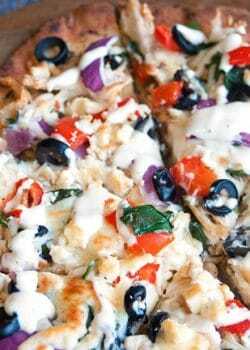 My favorite slow cooker chicken recipe is Chicken Enchiladas.